The Grand Cherokee is another global key product for Fiat-Chrysler. It allowed Jeep to achieve a new record and therefore was Fiat-Chrysler third best-selling nameplate. Contrary to the Ram Pickup and Fiat Uno, the group’s best-selling models, the Grand Cherokee has more presence in global markets and has done a good job since its introduction a couple of years ago. However it is not close to Fiat 500’s international success, as the Grand Cherokee is still very dependent on its domestic market. 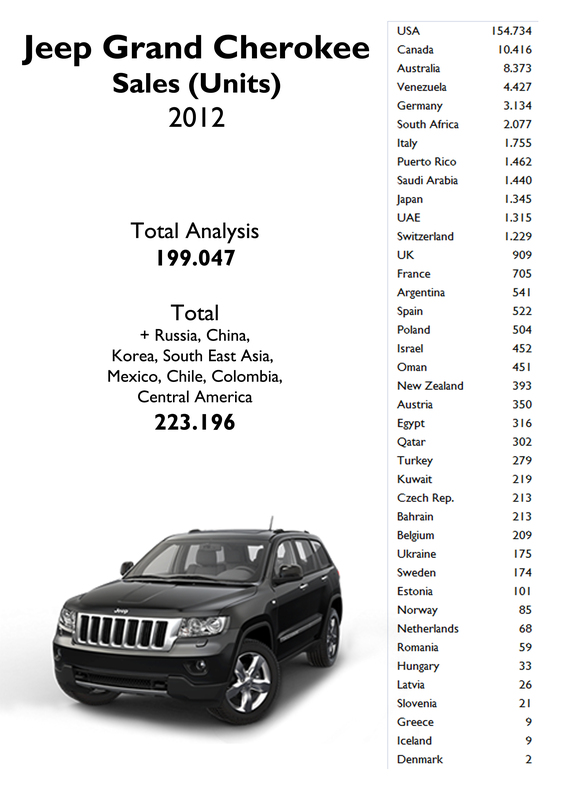 In 2012 Jeep sold 223.196 units of its full size SUV. It was clearly a good result but is far from a decade ago when this nameplate sold around 300.000 units only in USA. This car counted for 32% of Jeep total sales and it was Chrysler Group’s second best-selling model after the Ram Pickup and ahead of the Dodge Grand Caravan. The reason for this success is explained by the good momentum it is having in USA but also because of Asia-Pacific region, where the brand advanced an amazing 94%. Even if USA counted for 69% of total sales, this generation is more international than previous ones. It is not the case for its production which continues to be highly concentrated: 98% of the Grand Cherokees sold last year were produced in Jefferson North Assembly Plant, in Detroit. The remaining ones were produced and sold in Venezuela. This concentration isn’t good at all as US growing demand didn’t allow to ship big quantities to export markets. That’s why Jeep will soon start production of this model in Russia (where the brand is up a massive 125%) and China. Contrary to what some Americans think, more production coming from foreign countries will allow Jeep to become more global and reach higher numbers, and this will be certainly good for the brand and its employees. 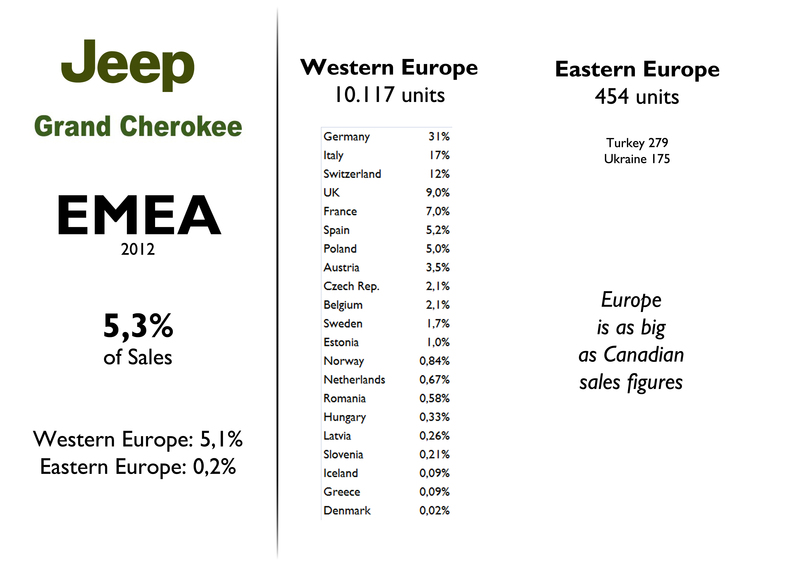 As usual, Canada is the second largest market but is not far ahead of Australia, where the Grand Cherokee shines. 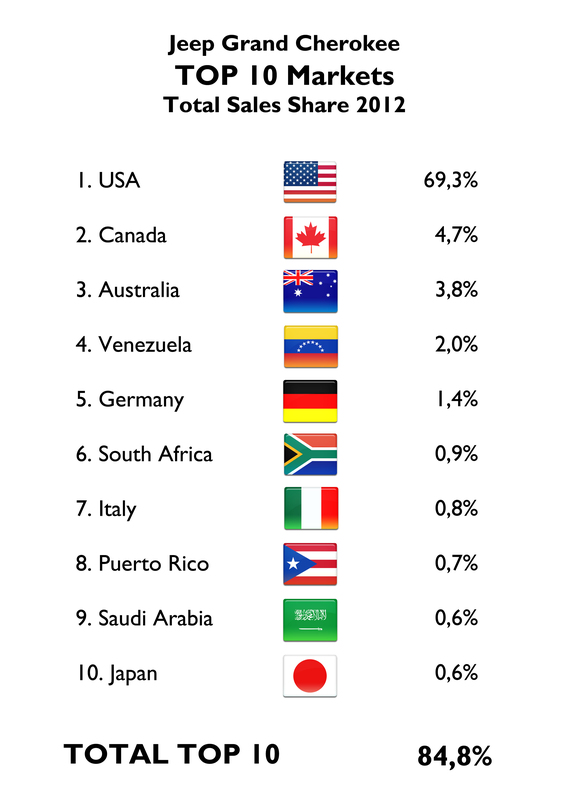 This analysis includes data for 40 countries which total 89% of the model’s sales worldwide. As usual the remaining important countries are China, Russia and Mexico. Generally speaking the Grand Cherokee did a wonderful job in almost all countries where it is on sale. It is important to mention the big jump it had in Australia, Germany, South Africa and USA. The new generation is clearly a success not only in America. It had wonderful results in markets where things are not going well, such as Romania, France, Egypt, and even in Greece and Spain. In the opposite side there are the poor results in the Netherlands and Turkey, and the tiny fall in Italy (where it is sold along with Fiat Group models), and Venezuela. USA and Canada count for 74% of the model’s total sales. In USA, the Grand Cherokee didn’t rank first in E-SUV segment but did a very good job, up 21%, the same growth for the Ford Explorer and higher than Chevrolet Equinox’s. Compared to previous years, this SUV is still half of the way of the 1999 record of 300.031 units. Nevertheless, last year results are extremely good considering that this nameplate sold only 50.000 units in 2009. In Canada the Grand Cherokee didn’t jump that much because it had already reached a record in 2011. One year later it had the best result since 2004. No official data for Mexico. In Latin America things are different: first of all it is not on sale in Brazil (for unknown reasons), and it is produced in Venezuela for domestic consumption. The reason for this particular output is explained by the historical demand in this oil producer country, where gas is extremely cheap and therefore people got used to buy big cars and SUVs. Chrysler operates a factory where it assemblies the Grand Cherokee, Cherokee, Caliber and recently the new Dodge Forza, based on the Fiat Siena. Thus, the Grand Cherokee has become the favorite car for government institutions, which could be considered the largest client. It is also very popular in Puerto Rico, where it occupied the first place among Full size SUVs. The same happened in Argentina. No data for Chile and Colombia where this car is also quite popular. Even though it had a good performance in most of European countries, the Grand Cherokee continues to be quite unknown in this region. It could only surpassed the 1.000 units barrier in 3 countries: Germany, Italy and Switzerland. But it is very rare to see in the UK and France. Competition is more complicated in Europe due to the fact that the BMW X5/X6, Mercedes ML and VW Touareg are much more popular. In Switzerland it occupied place # 2 after the Mercedes. In Italy, where it should rank first as it plays as ‘local’ this SUV can’t do much against the Germans partly because it lacks of a diverse range of engines. In the Middle East sales favors this Jeep. As most of these markets follows the American way of buying cars (in terms of demand) because of their oil capacities, it is not unusual to hear that a big and luxury SUV like the Grand Cherokee manages to obtain important results. Despite its good performance, the Grand Cherokee is far behind its competitors from Toyota. In South Africa the car did a wonderful job, ahead of all its competitors. 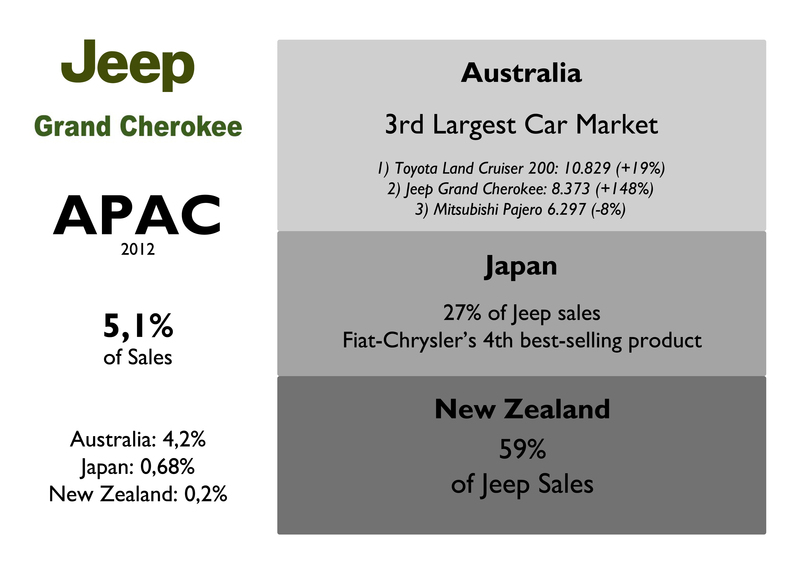 Without China and other important markets data, the Grand Cherokee made a good job in Australia, where it ranked 2nd, and was up an amazing 148% (+4000 units). This success is explained by the good way dealership network is working. Good for Japan and New Zealand aswell. Current generation is just in the middle of its life. 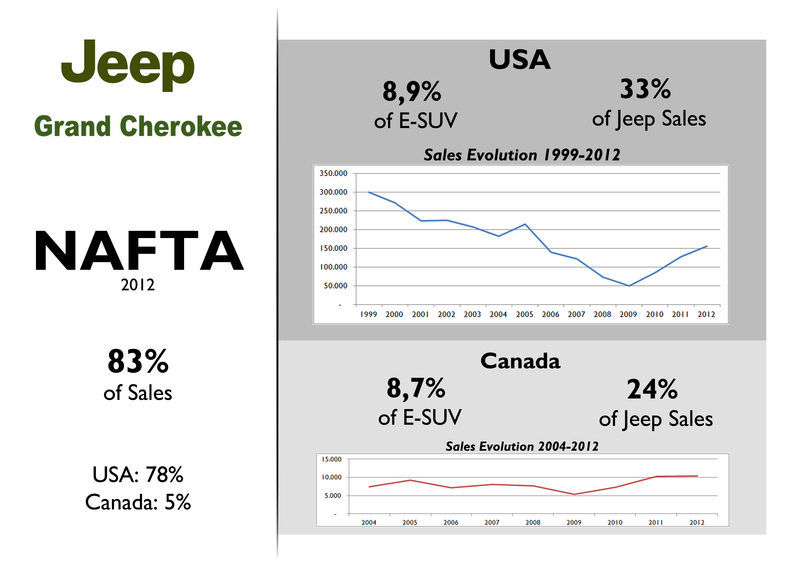 That’s why Jeep introduced the updated version in Detroit 2013 for NAFTA markets, and in Geneva 2013 for EMEA. Chrysler wants to stop the tiny fall the model has had in the last months in USA so the new version should help. Overseas markets should see even better results this year with the introduction of the 2014 MY. But the big event for the Grand Cherokee will come from China and Russia. As I wrote before, Jeep wants to start production of this SUV in those markets in 2013 to have access to their fast growing SUV segment. This would boost annual sales only from 2014. Meanwhile the brand is working to start imports in India, where the Grand Cherokee will play an important role no matter the fact that its sales figures won’t be shocking. More or less what will happen in Brazil, where the brand has just started to sell it but with very high prices. It is sold in Brazil. It is now on sale, but last year Jeep didn’t sell it. 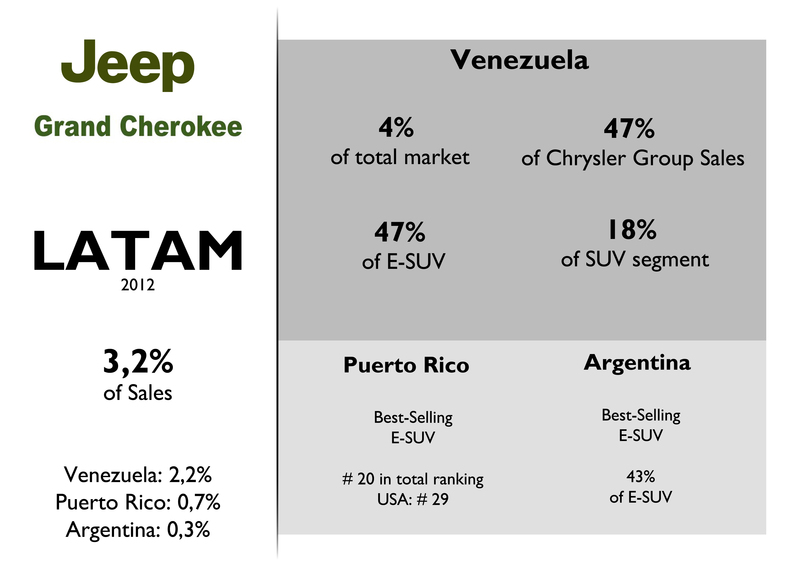 At least for official data, the Grand Cherokee wasn’t in the ranking of the cars sold in Brazil. Living in Brazil, I can assure you that the Jeep Grand Cherokee in current plataform (WK2) is on sale since 2011. 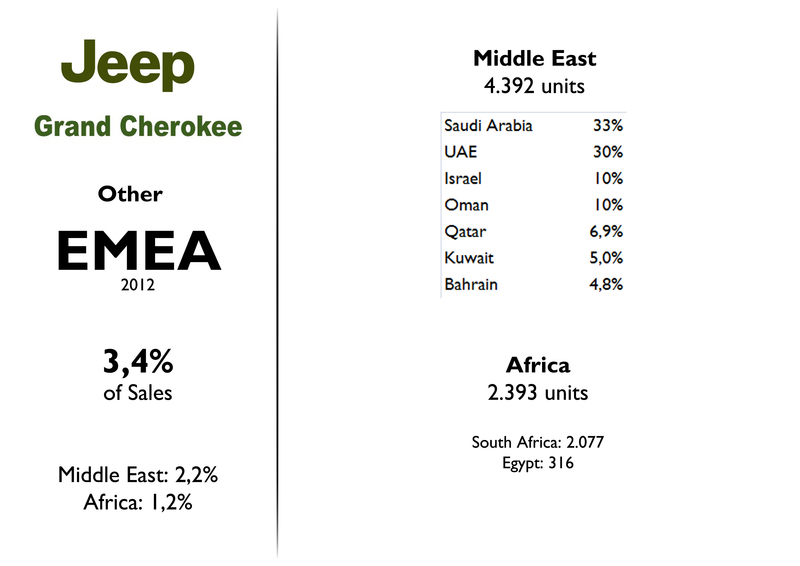 From the data I found, Chrysler-Dodge-Jeep-Ram together sold 7,201 units, with Jeep accounting for 3,400. I would say that GC sold about 1,000 units. 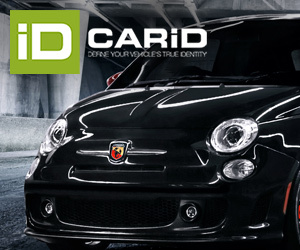 Keep in mind that the cheapest model (Laredo) is priced at US$ 80,000! OK. Thanks for the information Mario. That price explains its low demand. My analysis are based on official data and in case of Brazil I used Fenabrave information. 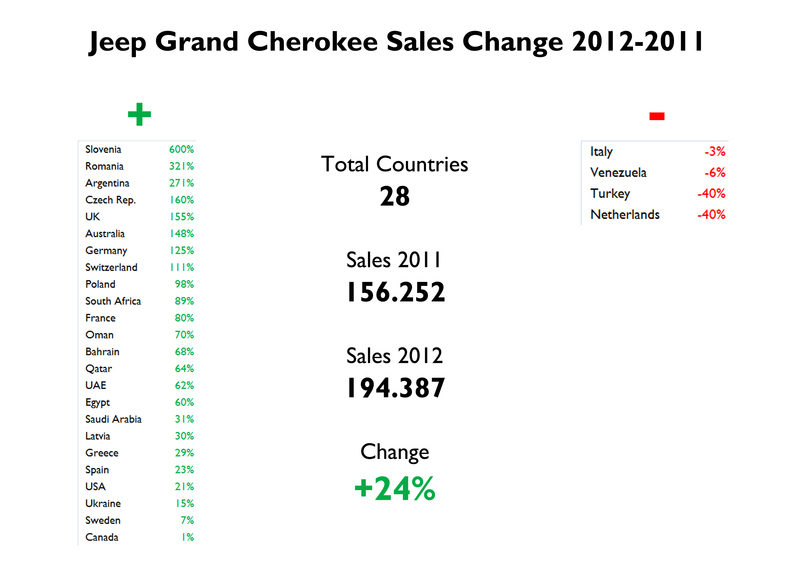 If you look carefully there is no data for the Grand Cherokee in 2012. 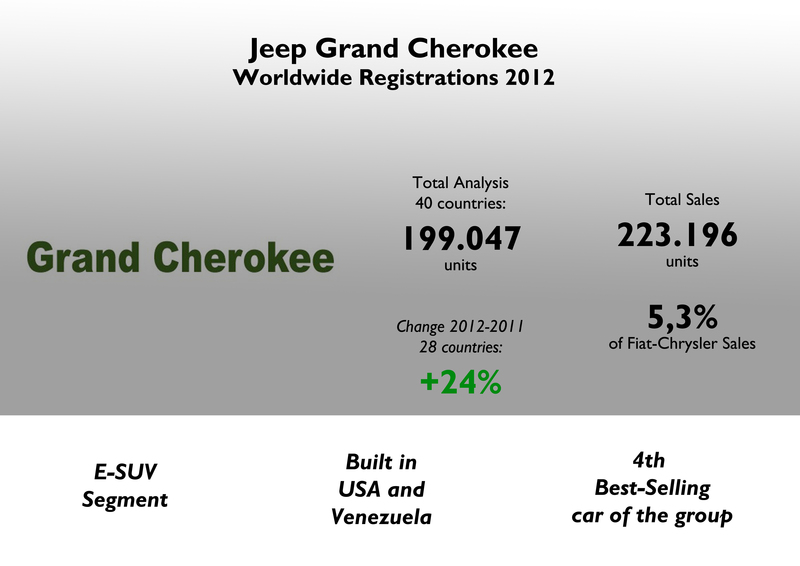 Maybe its sales figures are included in Jeep Cherokee’s data. Thanks anyway! Thank you very much Vitaly. Valuable information!